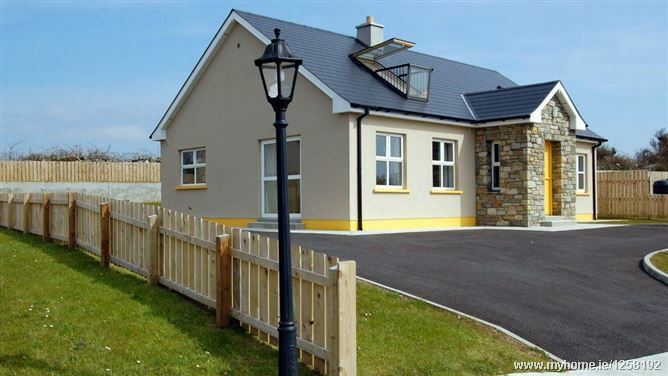 No 4 Breffni Cottages is a superb modern holiday home located in a quiet cul de sac development in the popular seaside resort village of Rathmullan in County Donegal. This beautiful home is just 150 metres from the shore front. Everything is within walking distance â€“ the fabulous beach, the hotels, restaurants, shops and pubs. The village of Rathmullan itself is located on the shores of Lough Swilly and is surrounded by dramatic coastal and mountain scenery.It is now one of the most popular destinations in Donegal for family holidays. In addition to the wonderful sandy beach the village has a selection of lively pubs and fine restaurants - including the award winning Bunnan Bui and Weeping Elam Restaurants. Horse riding can be enjoyed at the Golden Sands Equestrian Centre. There are also two modern charter boats based at the local marina - these are used for both sea angling and sightseeing on Lough Swilly. An excellent childrens' playground is now located at the harbour area of the village. A newly established Watersports School offers classes in sailing and windsurfing. Donegal as a whole is renowned for its unspoilt beauty, fabulous blue flag beaches and rugged coastal and highland landscapes. Rathmullan itself has a central location in County Donegal and this makes it an ideal base to tour this beautiful part of Ireland.